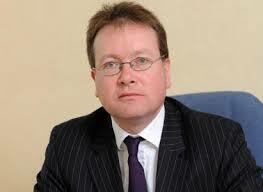 John F Larkin QC was educated at St Mary’s Christian Brothers Grammar School and at Queen’s University Belfast. He was called to the Bar of Northern Ireland in Michaelmas Term 1986 and later to the Bar of Ireland. Between 1989 and 1991 he was Reid Professor of Criminal Law in Trinity College Dublin. He took silk in Michaelmas term 2001. In the last ten years his practice has been mainly in Constitutional and Administrative Law and Human Rights. Following the transfer of policing and criminal justice powers to Northern Ireland he was appointed Attorney General for Northern Ireland on 24 May 2010. He is the first person to hold the office separately since its functions were assumed by the Attorney General for England and Wales in 1972. ← A Letter of Rights: Bringing the ‘Great Charter’ to Irish musical audiences.